For the seventh year in a row the Seven Network has claimed victory at the completion of the last official OzTAM ratings survey for the year. Breaking the list down to individual channels: Seven (22.9%) won ahead of Nine (20.9%), ABC1 (13.5%), Ten (11.8%), SBS One (4.5%), GO! 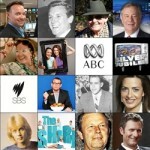 (4.2%), 7TWO (4.1%), 7mate (3.7%), Gem (3.5%), Eleven (3.0%), ABC2 (2.8%), One (2.3%), ABC News 24 (1.1%), SBS2 (0.8%), ABC3 (0.7%), NITV (0.1%). These figures are based on preliminary results and may vary slightly when PVR viewing for the last survey week is added but is unlikely to change the finishing order. 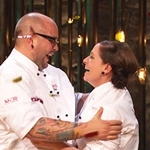 Seven had a bumper year thanks to the continued performance of reality titles My Kitchen Rules (“The Winner Announced”, pictured, watched by 3.27m, 5 cities) and The X Factor (“The Winner Announced” — 2.4m) and the AFL Grand Final (2.72m). Other strong performers were Packed To The Rafters, A Place To Call Home, Dancing With The Stars, Winners And Losers and Border Security. Home And Away continues to draw strong numbers even after 26 years, while imported dramas Downton Abbey, The Blacklist and Revenge also rated well. New reality format House Rules got off to a bumpy start but managed to build as the series progressed. Slideshow started well (1.3m), demonstrating that perhaps Seven’s viewers will accept whatever is offered as on any other network this would have dived, but soon its ratings went the same direction as its tilted stage. 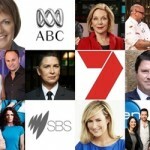 But while Seven is still winning in prime time it is losing its shine in the news and current affairs race. 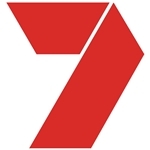 Seven News and Today Tonight were beaten at year’s end by Nine News and A Current Affair — indicating that Seven’s revamp of Today Tonight at the start of the year on the east coast has not gone down too well. Seven’s Sunrise beat Nine’s Today nationally but the latter is in front in the Sydney and Melbourne markets, while Sunday Night has just been edged out by 60 Minutes. Deal Or No Deal was bumped to the earlier 5.00pm timeslot, replaced by the new game show Million Dollar Minute. The new format started off strong in the 5.30pm contest but has since fallen behind rival Hot Seat. Million Dollar Minute host Grant Denyer has stepped down from the show, to be replaced next year by Simon Reeve. The Mole was a ratings dud in its new, expanded format, and probably the less said about Celebrity Splash, the better. Nine had a better year than 2012 thanks again to The Block (“Sky High: The Winner Announced” — 3.16m viewers), The Voice (“The Winner Announced” — 2.38m), NRL State Of Origin (Match 3 — 2.61m, Match 1 — 2.46m, Match 2 — 2.26m) and the NRL Grand Final (2.25m). Hamish And Andy’s Gap Year Asia showed that the comedy pair still enjoy a huge following. Big Brother didn’t quite make the same levels as Nine’s other reality shows but finished on a high and did help Nine’s bottom line in the younger advertiser-friendly demographics, as did their continued reliance on US sitcom The Big Bang Theory. Australia’s Got Talent, a franchise Nine picked up from Seven this year, largely paled in comparison to The X Factor. The Great Australian Bake Off returned barely decent numbers, not helped by haphazard scheduling in favour of its lead in program, Big Brother. Returning drama House Husbands (pictured) was a consistent performer but Underbelly: Squizzy underwhelmed despite a strong debut. Power Games: The Packer-Murdoch War, the prequel to Howzat! Kerry Packer’s War, failed to match the ratings high of its successor. Nine’s decision to broadcast the mid-year Ashes series on high definition channel GEM gave that channel its highest ratings and among the highest ever for a multi-channel. While ABC doesn’t usually take much notice of ratings they will be most heartened to end the year in third place, ahead of Ten, for the first time certainly since OzTAM records were initiated in 2001. ABC1 also ends the year with pleasing results — including ranked #2 channel in Perth (6pm-12mn, OzTAM). Among ABC1’s best ratings performers were Fleet Review Spectacular (1.4m plus another 200k on ABC News 24), Gruen Nation (1.3m), Gruen Planet (1.2m) and the prime time screening of the 50th anniversary Doctor Who special The Day Of The Doctor (922k). The network also had good results during the year from ABC News, 7.30 and political documentaries Whitlam: The Power And The Passion and Keating. Drama was well received by the audience with Miss Fisher’s Murder Mysteries (pictured), The Doctor Blake Mysteries, Cliffy and Paper Giants: Magazine Wars all scoring close to or above the 1 million mark across the five cities. Drama series Redfern Now and The Time Of Our Lives received critical praise though did not receive ratings numbers to match. The latter in particular was scheduled in the competitive Sunday 8.30pm timeslot. In the comedy portfolio new titles Upper Middle Bogan and It’s A Date were ratings stand outs. Chris Lilley‘s latest venture Ja’mie: Private School Girl debuted well (924k) but lost viewers as the series progressed. ABC2 enjoyed ratings growth with younger viewers with new titles including Head First and Please Like Me. For Network Ten coming fourth in what is essentially a three-horse race gives them little to smile about. Apart from a few highlights, such as Offspring and the closing stages of The Biggest Loser, there is not much for Ten to get excited about. MasterChef, their once-golden brand (and a ratings record breaker in years gone by) rated well on its season debut and final but didn’t fare much in between. It’s not to say Ten weren’t launching new content during the year, it’s just that very little of it resonated with the public: Reef Doctors, A League Of Their Own, Recipe To Riches, This Week Live, Revealed, The Truth Is, Wanted. The Bachelor, despite a massive advertising campaign in the lead up to its launch, came close to joining those titles mentioned above. The series was saved when it was re-scheduled to a mid-week timeslot and managed to build to a respectable audience. Coming off the back of Offspring, the debut season of Wonderland (pictured) returned only modest results. 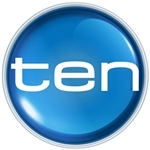 The revamp of Ten News to Ten Eyewitness News did little to raise its numbers, while The Project maintained a fairly consistent level though still trailed well behind its Seven and Nine competitors in overall numbers. Imported series Elementary debuted well, as did Under The Dome, but Homeland‘s ratings were a mere shadow of earlier seasons, and The Americans was barely on the radar. Slotting The Simpsons back into the 6.00pm timeslot on Ten did little to solve their conundrum in programming up against the evening news bulletins of Seven and Nine. Ten’s revamped morning timeslot , comprising Ten Eyewitness News, Wake Up and Studio 10, has a long way to go up against its Seven and Nine rivals. Wake Up is struggling to maintain the same level of viewers as its failed predecessor, Breakfast, but Ten insists that it is in for the long haul for its considerable investment in the timeslot. Neighbours continues to be a solid performer for Eleven, often ranking at or near the top of the multi-channel ratings each night. SBS had a slight increase of audience share compared to 2012. Among the highest raters for SBS this year were the FIFA World Cup Qualifier, Australia versus Jordan (761k), and the Eurovision Song Contest (Final — 595k). 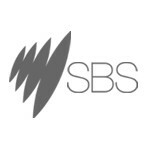 The revamp of SBS2 into a youth-focused channel saw it increase its share of that demographic. Friday night broadcasts of A League football also gave the channel some of its highest numbers to date. Indigenous channel NITV claimed its highest rating in August when it screened the classic Australian film The Chant Of Jimmie Blacksmith. 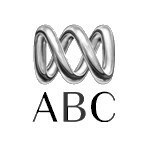 The 2014 ratings year begins on 9 February and continues through to 29 November, with a two-week break over the Easter period. Data © OzTAM Pty Limited 2012. The Data may not be reproduced, published or communicated (electronically or in hard copy) without the prior written consent of OzTAM. Our ABC has done well. Why is a clever comedian such as Charlie Pickering seem so stifled on The Project?